The Gibson Brothers received the 2017 Radio Rainbow Award for their life’s work. Lena Gercke was awarded as the Media Woman and Eckhardt von Hirschhausen as the Media Man 2017. 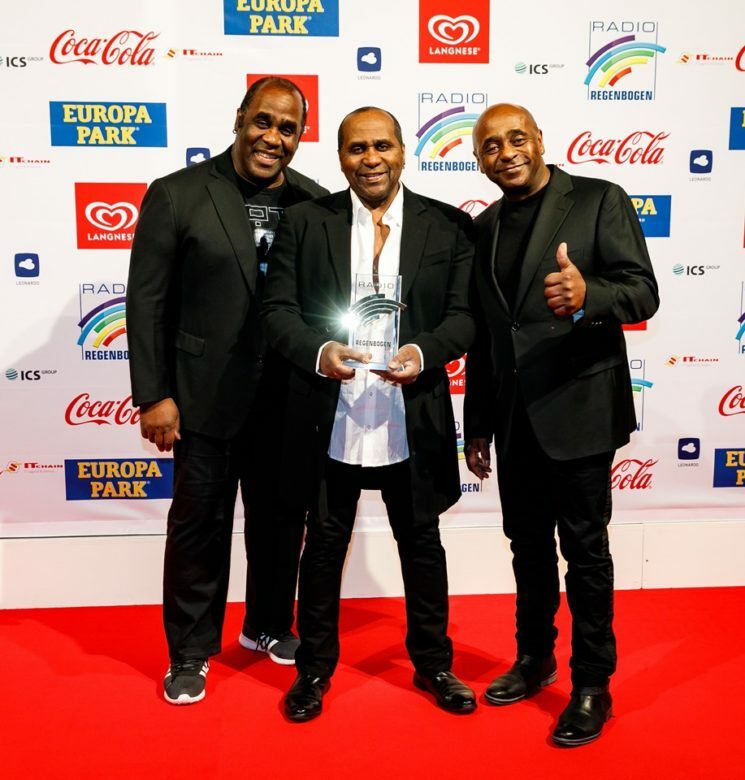 On 24.03.2018 stars from film, radio, television, music and show business celebrated themselves at the 21st Radio Rainbow Award at the Europapark in Rust. Already the 6th time this award will be held here and awarded in 12 categories. The Gibson Brothers received the Lifetime Award 2017 for their life’s work. 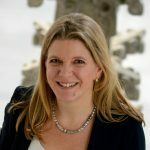 Mareile Höppner, the celebrity and pop expert of ARD, held the laudation for Christian, Alex and Patrick Gibson, who come from the Caribbean island of Martinique and have the rhythm in their blood. You could also say that they have played a part in shaping the ultimate disco sound. Their hits such as “Cuba”, “Que sera mi vida” and “Mariana” are heard around the world and fill the dance floors worldwide. The 1600 guests of the Europaparkarena tore it off their seats when the music legends intoned their world hits. The audience celebrated the life’s work of the Gibson Brothers, the Radio Rainbow Award – and themselves – into the early morning hours. Johannes B. Kerner, star presenter, explained in the laudation for Lena Gercke that her career is “almost too good to be true”. 10 years ago she won the first season of “Germany’s Next Topmodel”. Fashion shows between Milan, Paris and New York, photo shoots and international advertising contracts follow. 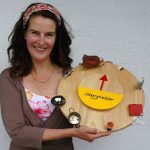 Then she began to work as a presenter, with the same resounding success. She made a name for herself as a member of the “Supertalent” jury. 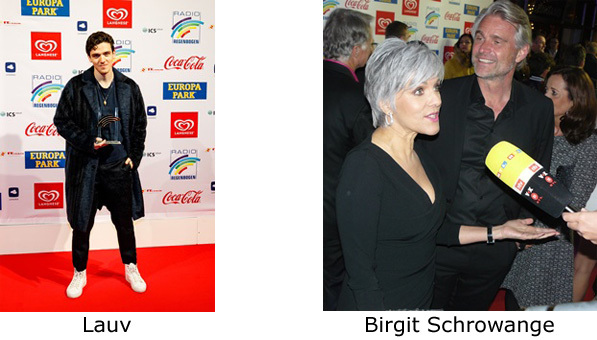 A short time later she takes us through Germany’s most successful music show “The Voice of Germany” in a relaxed and charming way or as a jury member in the new ProSieben show “Das Ding des Jahres”. With her natural way she was the darling of fans and photographers on the red carpet. 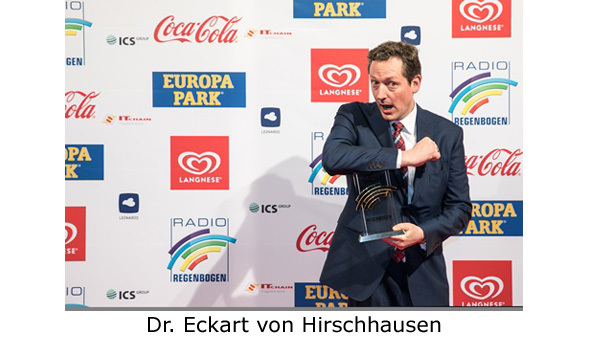 Media Man 2017 became Dr. Eckart von Hirschhausen. Steffen Hallaschke went into raptures during his laudation. 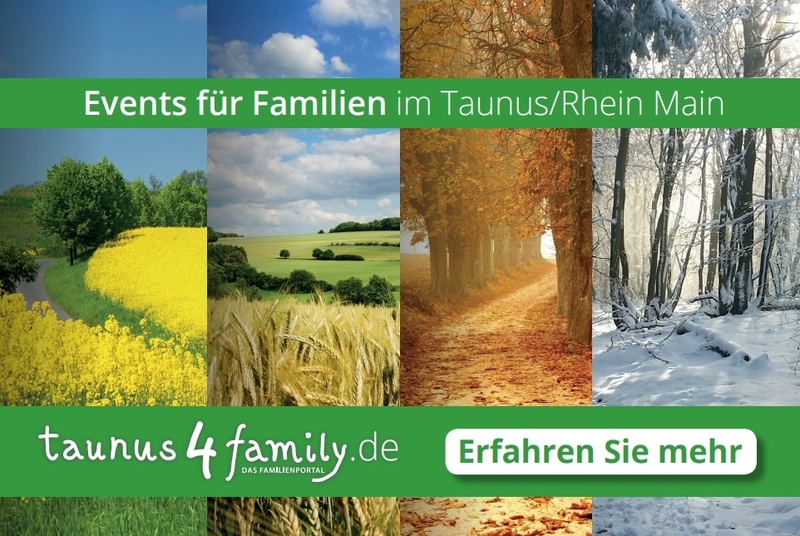 Quizmaster and ratings king, presenter and motivator, entertainer and luck trainer – and Germany’s most successful medicine man! His “practice” is the stage and television. Other awards went to Nico Santos as the newcomer National – Laura Wontorra was the laudator. At 24 he is one of the most successful songwriters in Germany. He wrote the European Championship song “Wir sind groß” together with Mark Foster. He attracted attention in 2015 and 2016 with songs like “Home” with Topic and “More Than a Friend” with Robin Schulz. 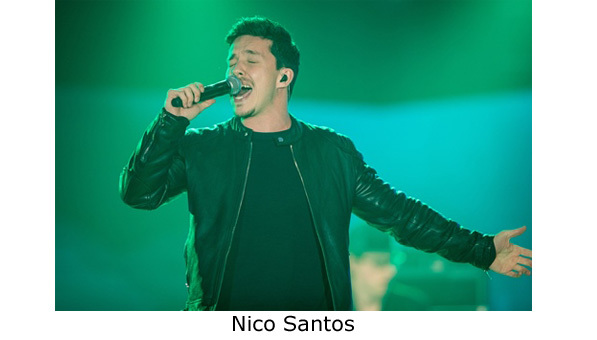 His breakthrough as a singer came in 2017 with the hit “Rooftop”. Michael Patrick Kelly was awarded for the most successful comeback of 2017 – Heikko Deutschmann was the laudator. 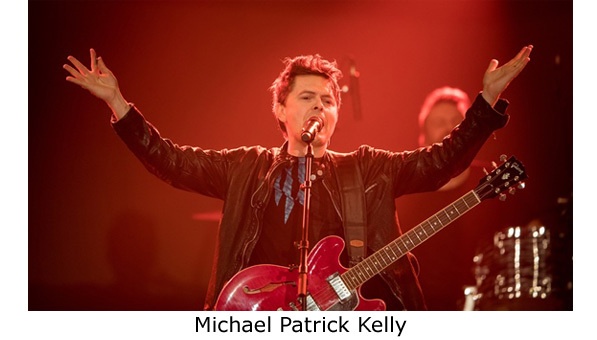 As a former “Kelly Family” member, he was particularly pleased to be nominated for his work as a solo artist. In search of his inner peace he retired from public life for 6 years to a Catholic monastery where he lived as a monk. He came back as a rock musician and last year his new hit “iD” rang from all radios. 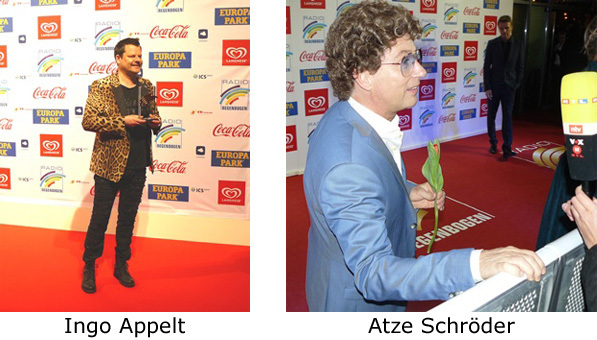 Ingo Appelt received the Rainbow Award in the Comedy 2017 category – Atze Schröder, who hosted the gala for the first time, was the laudator. Ingo Appelt was awarded for his television presence. His name is associated with evil jokes and black humor. The comedian doesn’t mince his words in his performances. 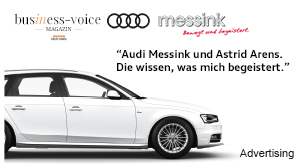 With the motto “Humor is important” he made the whole hall laugh with phenomenal interpretations by Herbert Grönemeyer and Udo Lindenberg. Lauv was honoured as Newcomer International 2017 by laudator Birgit Schrowange. Lauv is an American singer with Latvian ancestors, his stage name means lion in Latvian and is a tribute to his zodiac sign. With over 900 million stream views on the Internet, he has made it to the top of the charts. The top hit “I Like Me Better” with folkloristic elements by Balt is a chart success of the past year. 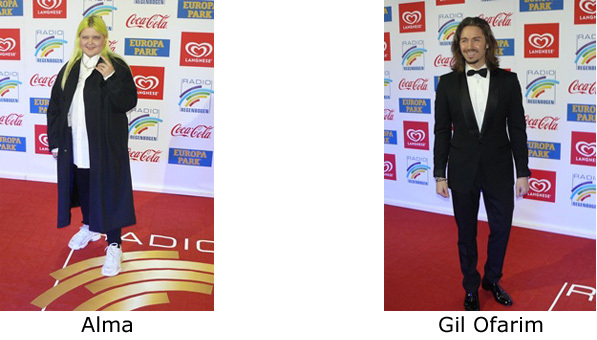 Laudator Gil Ofarim had the honour of honoring Alma in the Pop International 2017 category, saying: “Her voice is pure galactic power! Full of energy she beamed us away – into the endless vastness of the electro-pop-sky.” With her impressive voice and breathtaking attitude, the Finnish singer and songwriter is without doubt one of the rising stars of pop heaven. She works together with many international stars, rapper French Montana supported her with her new single “Phases”. Last year she received the platinum record for the single “All Stars” in France. 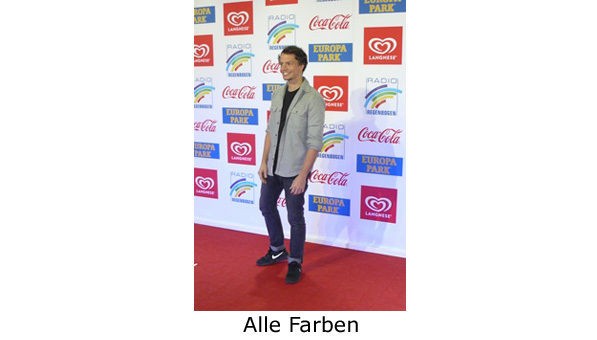 In the category Best Dance 2017 Laudator Nova Meierhenrich presented the award to Alle Farben. World-famous DJ in the field of deep house and tech house, the Berlin Frans Zimmer with a penchant for painting has been an integral part of the club scene for 10 years. His debut album “Synesthesia – I Think in Colours” was released in May 2014, the second album “Music is My Best Friend” followed in June 2016. 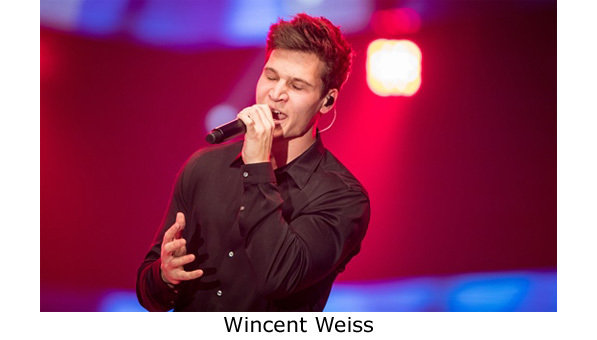 Wincent Weiss received the award for Pop National 2017 from laudator Steven Gätjen. 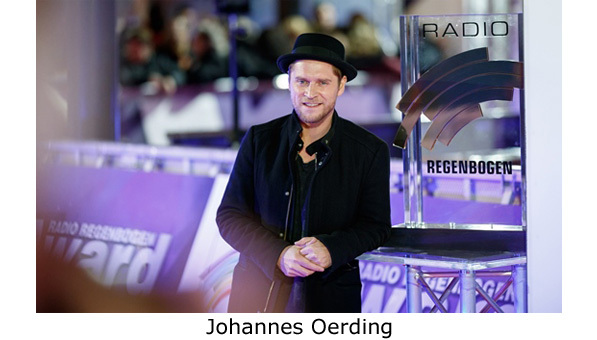 Johannes Oerding was honoured as The Voice 2017 by Yvonne Catterfeld, who brilliantly opened the gala with her medley of the current songs “Irgendwas”, “Was bleibt” and “Guten Morgen Freiheit”. She made the guests at Europa-Park Confertainment Center rave, setting the stage for the emotional musical moments that were yet to come. 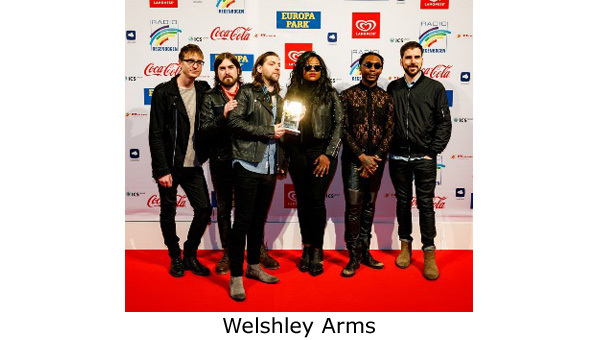 As Band International 2017 Welshly Arms received the award from laudator Ursula Karven. With “Legendary” Welshly Arms have created an indie rock anthem that became the rock earwig of 2017.